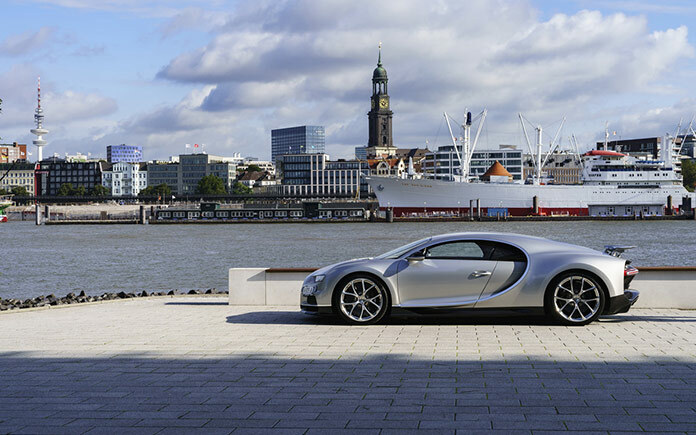 The French super sports car brand Bugatti now has an exclusive outlet in Hamburg. Together with its sales partner, Kamps in Hamburg GmbH & Co. KG, Bugatti inaugurated an entirely redesigned showroom this week. The Bugatti brand world has floor space of almost 100 square metres and is located near Hamburg airport. The latest product of the luxury brand from Molsheim, the 1500 PS, 420 km/h Bugatti Chiron, now has an appropriate home in the north of Germany. 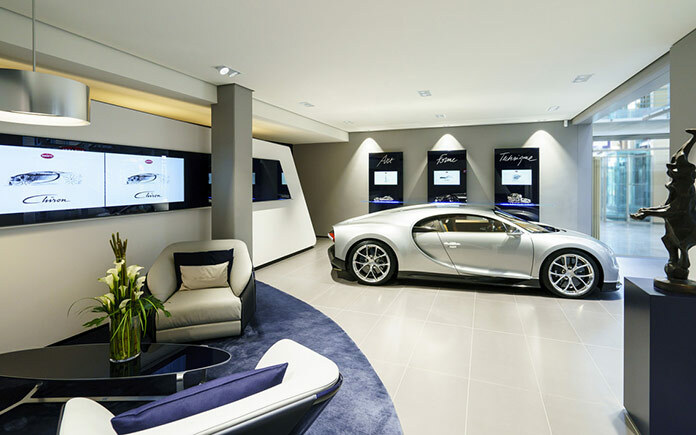 Hamburg is Bugatti’s fourth dealership in Germany with the new showroom design and its 12th in Europe. Bugatti has a total of 34 dealerships in 17 countries, four of which are located in Germany. 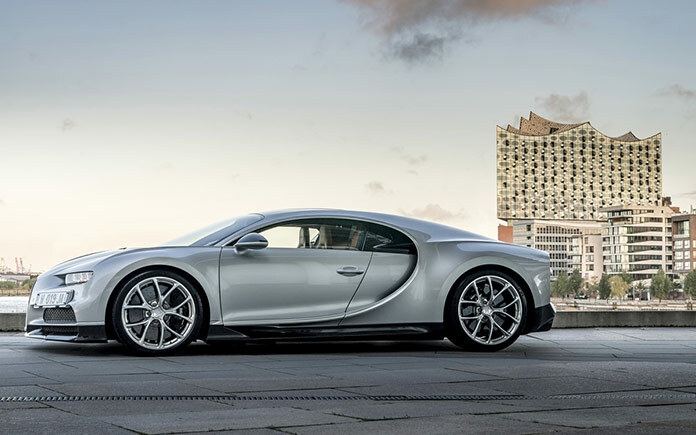 “Bugatti Hamburg has also been very successful with sales of the Chiron. 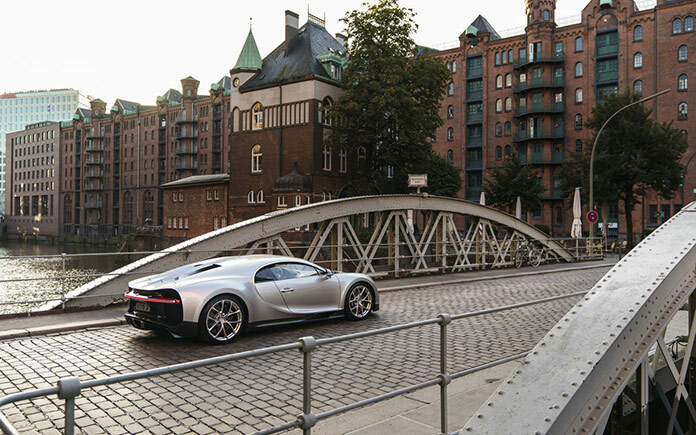 I would like to thank our long-standing partner, Kamps in Hamburg, for the team’s excellent work and considerable personal dedication.” Since the launch of the super sports car, Hamburg has taken 10 orders for the Chiron. The Kamps Group has been successful in the automobile business for more than 60 years and has become an expert in super sports cars and luxury vehicles. 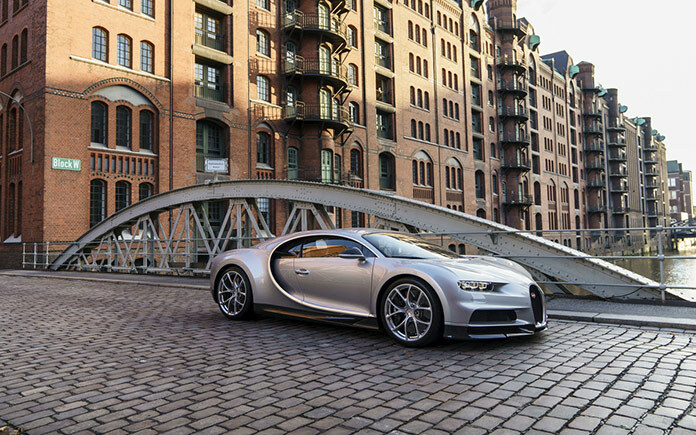 Kamps in Hamburg GmbH & Co. KG, a company which is a member of this group, has been an official dealer partner of Bugatti since 2009. The new showroom in Hamburg gives customers and guests an impression of the Bugatti brand values of “Art, Forme, Technique” and the flair of the company’s headquarters in Molsheim. There is a heritage section devoted to the Bugatti brand values. Three wallmounted steles each express one of these values. Each stele has a monitor for showing films and animations that give an impressive presentation of the respective brand value. The lounge area is equipped with furniture from the Bugatti Home Collection designed especially for the brand’s new showrooms. The organically shaped armchairs are made from the finest leather and blue carbon fibre, high-quality materials with complex processing that are also used for the production of a Bugatti super sports car. The sides are decorated by the EB logo. A curving white brand wall sets the stage for the star of any Bugatti showroom – the Chiron, the world’s most powerful, fastest, most luxurious and most exclusive production super sports car.